Mosa Lebusa has revealed that leaving Ajax Cape Town to join Mamelodi Sundowns was not his decision. The defender says he would have stayed at Ajax and helped the team in the National First Division if it was up to him. 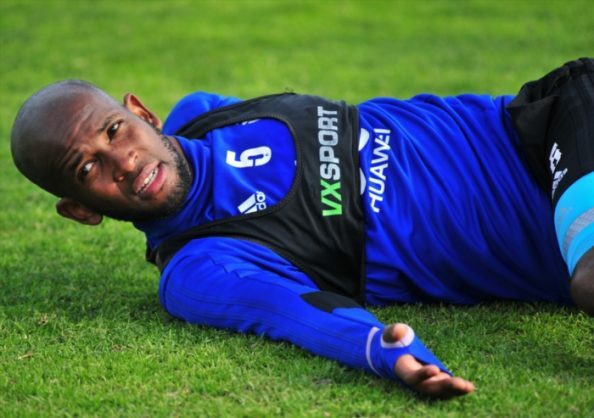 “I think it was between the two teams Ajax and Sundowns – they spoke about it (his transfer) and here I am (at Sundowns)‚” said Lebusa during an interview on SABC’s Sports@10. “I wouldn’t have minded going down with Ajax to the (National First Division) since my whole professional football career I’ve been playing for them. “I would have gone there and fought for them,” he added. Lebusa said it was painful to see the Urban Warriors relegated to the NFD. Lebusa shed light on what went wrong at Ajax last season. “I think we started off badly. “Even in the previous seasons we did that but we got away with it a couple of times. “But this time it was different. “By the time we realised that we were actually digging our own graves it was too little too late,” concluded Lebusa.